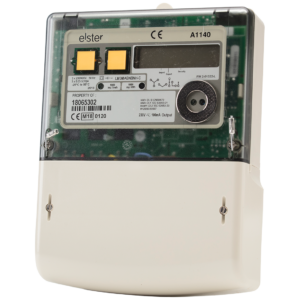 The Elster A1140 is a three phase electricity meter supplied in either whole current or CT enabled versions. Two-way communications enable different registers to be collected from the meter. Energy data is transmitted via direct connection to the Orsis LDC via RF (radio frequency) for data verification for suppliers and data collectors/aggregators and integration into third party aM&T systems. The meter can also be used for three phase solar PV installations. The data gathered can be analysed on Orsis Energize by the end user to understand energy consumption levels and manage their fiscal and environmental costs. The Elster A1140 is suitable for measuring both generation and exported data from solar PV systems. Meter readings can be submitted for feed-in tariff collection.